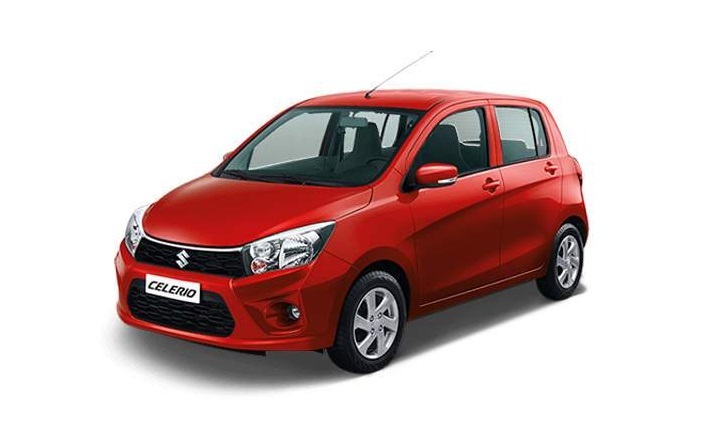 Maruti Suzuki Celerio LXI is offered at a price of Rs 4.35 lacs. It features 5 doors, seats 5 persons, two seating rows, boot space of 235 litres and a fuel tank capacity of 35 litres. It is capable of 998 CC displacement and comes with a 4 valve cylinder. It runs on petrol with an engine type of k10B. It is capable of a maximum power of 67 BHP @ 6000 RPM, maximum torque of 90 NM @ 3500 RPM, and 12 km per litre. It comes with five gears. The Maruti Suzuki LXi(O) Is available for a price of rupees 4.49 lacs With a fuel tank capacity of 35 litres and a boot space of 235 litres. The engine is capable of displacement capacity of 998 CC. The engine runs on petrol fuel and is capable of a maximum power of 67 BHP @ 6000 RPM and a maximum torque of 90 NM @ 3500 RPM. It is capable of a mileage of 23.1 km per litre. The Maruti Suzuki Celerio VXI comes at a price of Rs 4.68 lacs with a 35-litre capacity fuel tank and a boot space of rupees 235 litres. It comes with 5 gears and a mileage of 23.1 km per litre. it has a maximum torque of 90 NM @ 3500 RPM and a maximum power of 67 BHP @ 6000 RPM. It runs on a petrol engine. The Maruti Suzuki Celerio VXI(o) comes with the price of 4.83 lacs and it is capable of a maximum torque of 90 NM @ 3500 RPM. Maximum power of 67 BHP at 6000 RPM and a mileage of 23.1 km per litre. It is of the manual transmission type with a fwd drive train. the front suspension of this variant comes with the unique Macpherson Strut with coil spring with a minimum turning radius of 4.7 m.
The above variants and its unique features make the Maruti Suzuki Celerio cars one of the most preferred cars for unique dynamic exterior and refreshing interiors that creates a stunning first impression.